In late June, President Trump hosted a group of Native American tribal leaders at the White House and urged them to "just do it" and extract whatever they want from the land they control. The exchange turned out to be an unusually vivid window into the almost kingly power that Trump sees himself as holding, and which he has begun describing with increasing bluntness. The scene was recounted by a source in the room and confirmed by another. The White House didn't dispute the story. 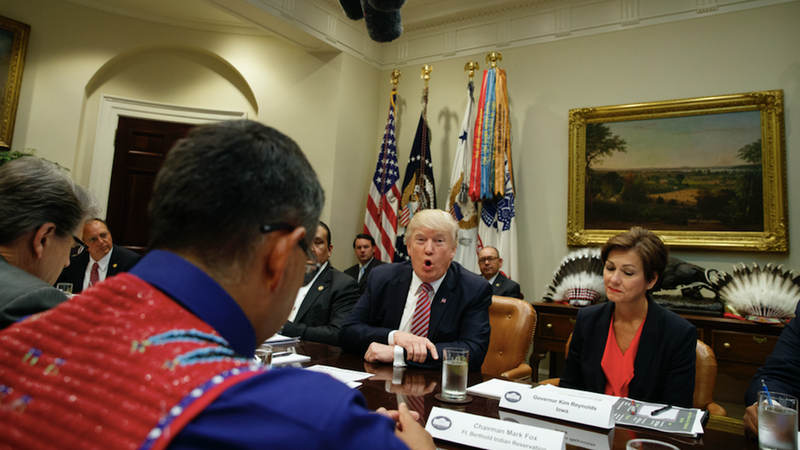 The chiefs explained to Trump that there were regulatory barriers preventing them from getting at their energy. Trump replied: "But now it's me. The government's different now. Obama's gone; and we're doing things differently here." Quote"So what I'm saying is, just do it." There was a pause in the room and the tribal leaders looked at each other. "Chief, chief," Trump continued, addressing one of the tribal leaders, "what are they going to do? Once you get it out of the ground are they going to make you put it back in there? I mean, once it's out of the ground it can't go back in there. You've just got to do it. I'm telling you, chief, you've just got to do it." The tribal leader looked back at one of the White House officials in the room — perhaps somebody from the White House Counsel's office — and he said "can we just do that?" The official equivocated, saying the administration is making progress and has a plan to roll back various regulations. Trump interjected again: "Guys, I feel like you're not hearing me right now. We've just got to do it. I feel like we've got no choice; other countries are just doing it. China is not asking questions about all of this stuff. They're just doing it. And guys, we've just got to do it." A second source in the room objects vehemently to the suggestion that Trump was asking the chiefs to just start drilling and break federal law. The source said it was unremarkable "Trump speak" and what he meant by "just do it" was he was pushing for removing burdensome regulations from the Obama era. The same source added the context that, at the time, Trump was getting briefed on all manner of regulations impeding his top priorities including energy production and infrastructure development. This might seem like an extraordinary account for a U.S. president. But it's increasingly the norm: Trump considers himself above the traditions, limits and laws of the presidency — even when he's not, as in this case — and this trend is intensifying the longer he's in office. This past week he claimed sole credit for soaring stock prices. This past week he publicly moaned about limits on his ability to direct the FBI /Justice Department — and then went on to bully the department for not investigating "Crooked Hillary & the Dems." This past week he told Fox's Laura Ingraham "I'm the only one that matters" when it comes to State Department policy and personnel. 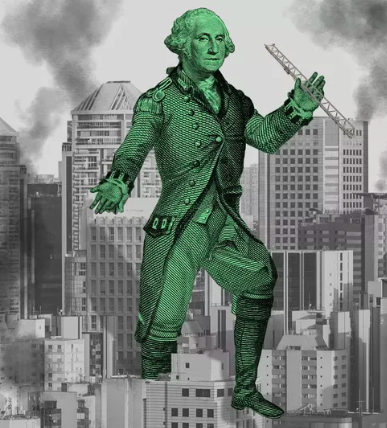 Be smart: This impatient and improvisational billionaire — who spent a lifetime cutting deals, grabbing what he wanted, and steamrolling anybody in his path as the boss of his own company — has no interest in adapting to the ways of Washington. It wasn't just campaign rhetoric; Trump still really believes, even after the humiliating failure to repeal Obamacare, that he can bend this city to his will. His clashes with Congress will likely worsen in the months ahead, as some of the most challenging legislative items wend their way through the dysfunctional Capitol. He'll take every opportunity to rail against institutionalists like Mitch McConnell and he'll try to blow up laws, norms, and rules GOP leaders consider sacred — like the legislative filibuster. Expect to see Trump issue more executive orders as his frustrations boil over; and expect more intense shocks to parts of the governmental system you've never had to think about.